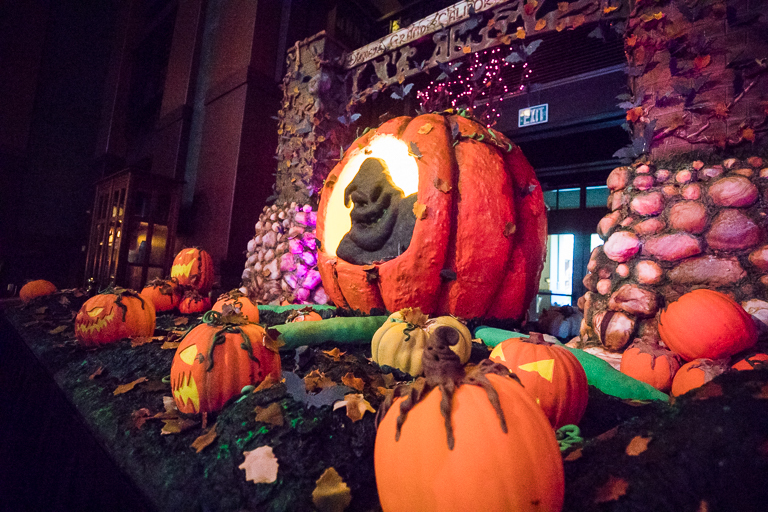 Tales of the Flowers: Halloween Pump-"cake" Patch at the Grand Californian - Where are the Hidden Mickeys? 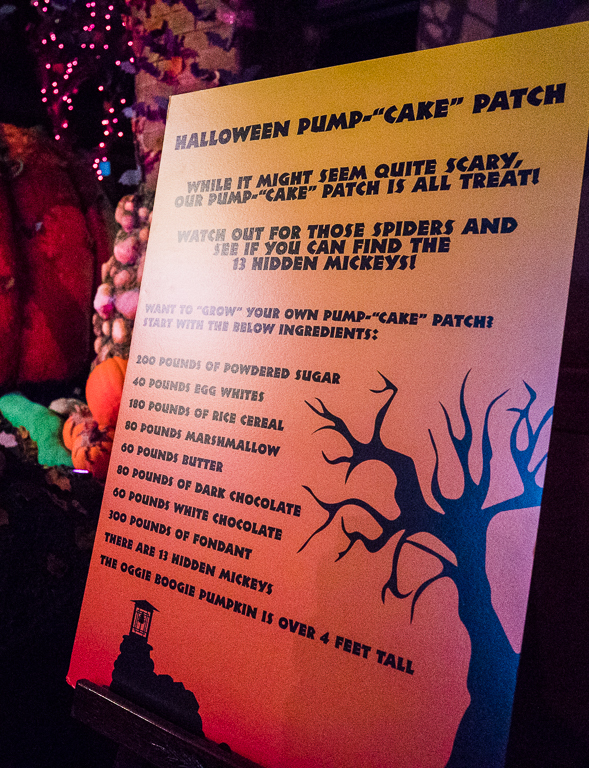 Halloween Pump-"cake" Patch at the Grand Californian - Where are the Hidden Mickeys? 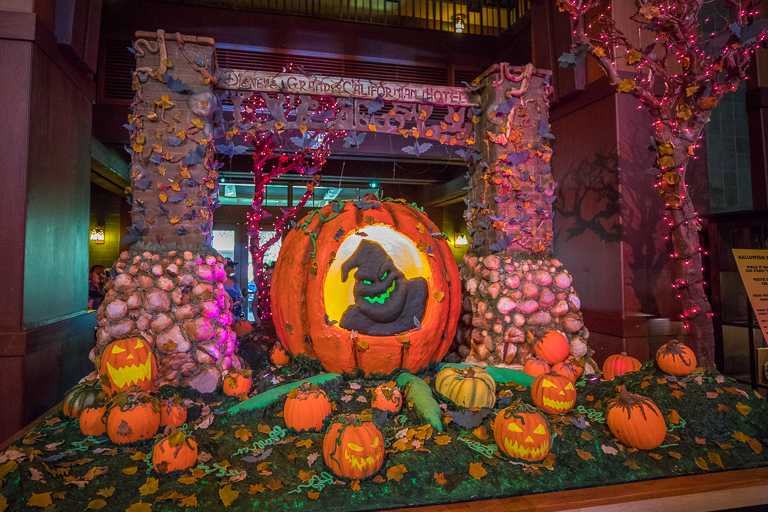 In the Grand Californian lobby is a giant 4 foot pumpkin made out of cake! I think it's awesome when limited time things like this make their way to Disneyland. There's just one thing that I'm having a hard time figuring out. Where are the hidden Mickeys? 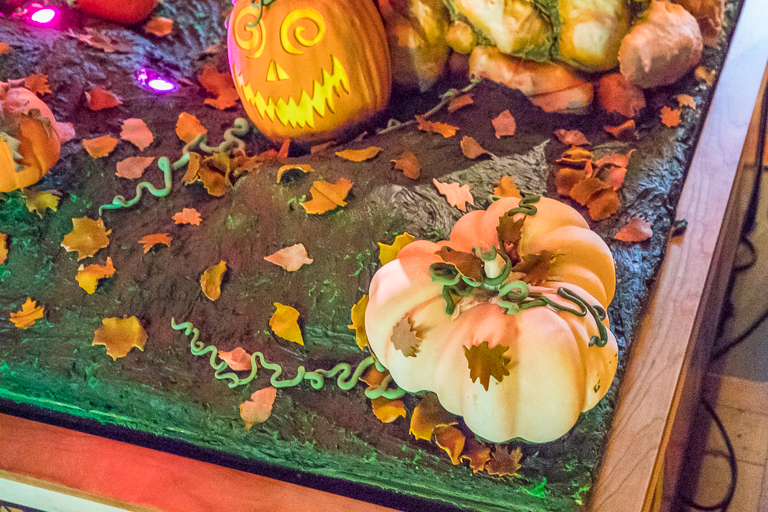 On a board, right beside the cake, are details showing everything that went into making this amazing creation. But it also encourages you to look for 13 different hidden Mickeys. Some aren't too hard to see. Like the gray Mickey rock on the left column. 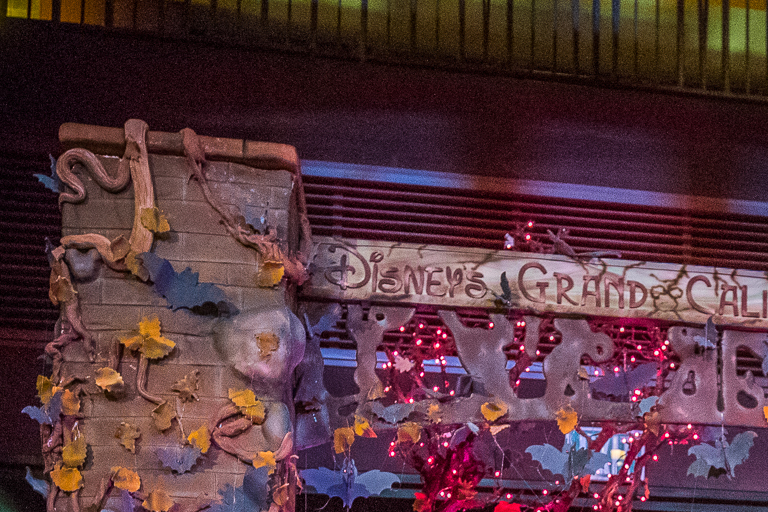 Or the Mickey hidden between the D and C in GRAND CALIFORNIAN. Some were a little more difficult to find, like this one on a tree-trunk. And I would also hesitate to call this a hidden Mickey if I saw it anywhere else. Yes it's 3 circles, but a Mickey is supposed to have one of those circles be larger. On the back of the column there's another Mickey. 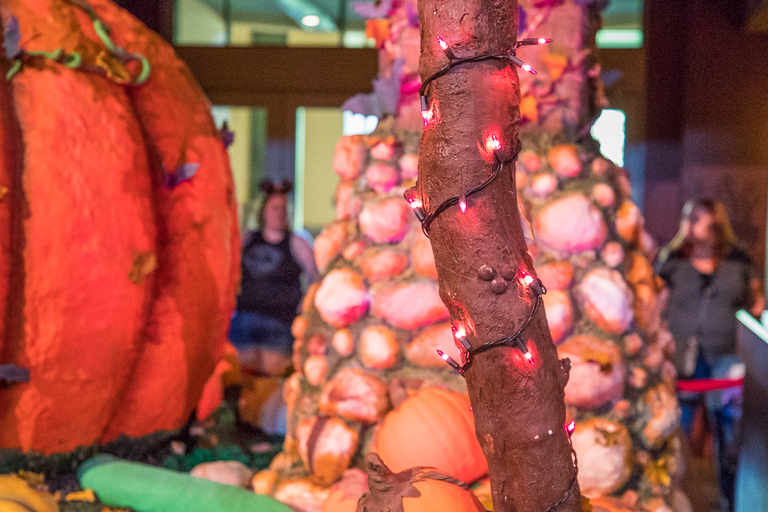 I don't know if these pumpkins count as Mickey heads or not. 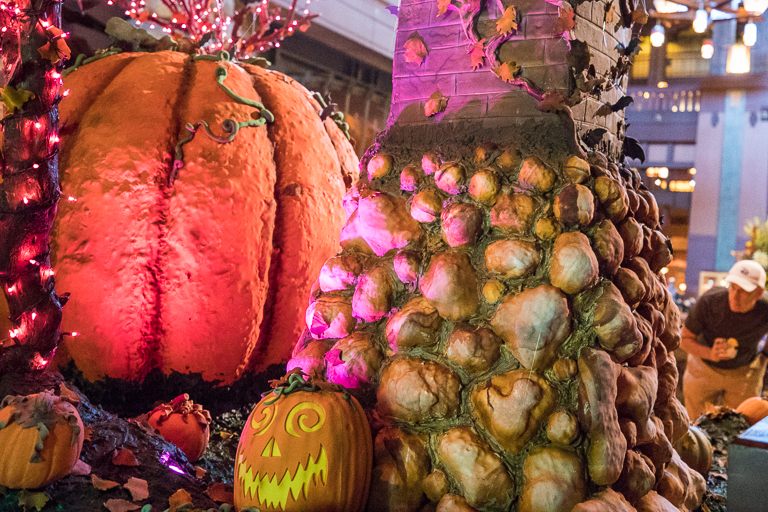 This pumpkin's stem kinda looks like Oogie Boogie. So 13 hidden Mickey's? I couldn't find anything more than these. Anyone else know where to find more?